Place of Death Vrindavan, Uttar Pradesh, India. 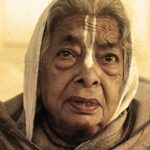 He is a pure devotee of Lord Krishna and the founder-Acharya of the International Society for Krishna Consciousness (ISKCON) that has now a worldwide confederation of over 100 temples, ashrams, cultural centers, and many other projects. 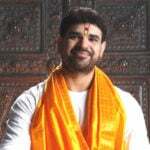 He was born on the next day of Janmashtami (Lord Krishna’s Birthday) in a Bengali Suvarna Banik Vaishnava family in Kolkata and was given the name- Abhay Charan means fearless and one who takes shelter of Lord Krishna’s lotus feet. 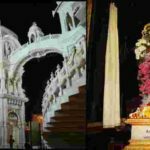 As he was born on the day of Nandotsava (Lord Krishna’s Birthday festival celebrated by His father Nand), he was also called Nandulal. 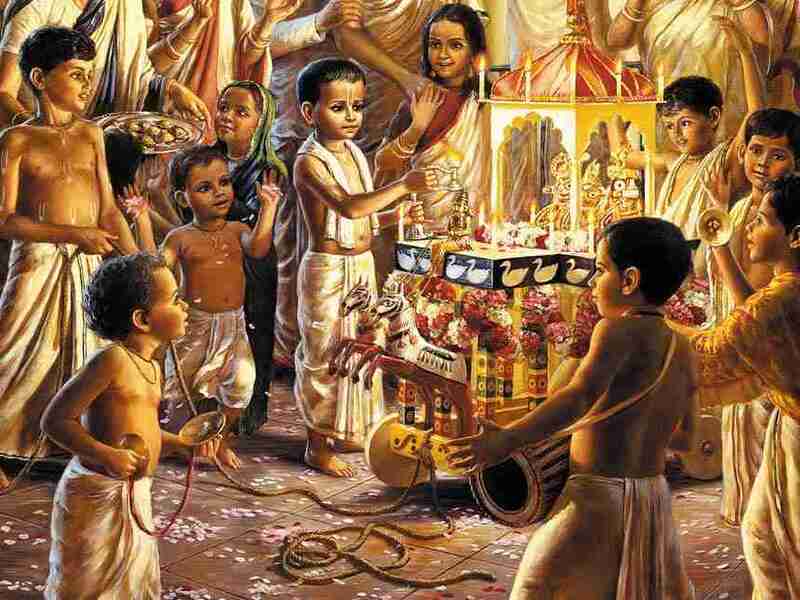 At the age of five, he alone organized a Lord Jagannatha Ratha-yatra festival at his locality. 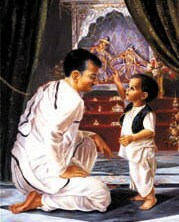 He learned the principles of Krishna’s worship from his father who was a great devotee of Lord Krishna. 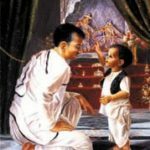 During his childhood, he would like to go to the temples instead playing with children. 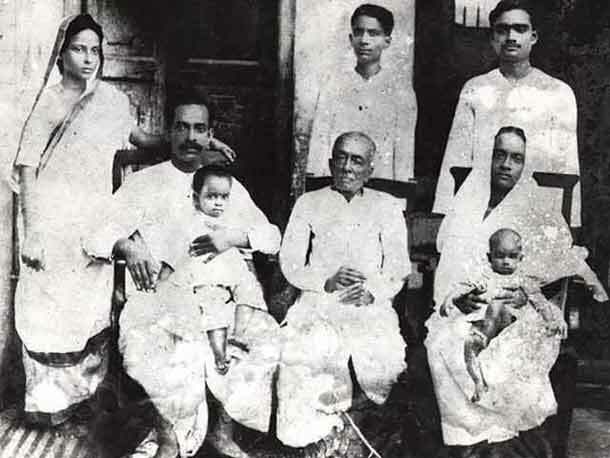 During his European-styled education at Scottish Church College, Kolkata, he was a member of the English and Sanskrit Society and studied the subjects like English, Economics, and Philosophy. 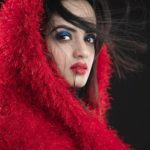 His marriage was arranged by his parents at the age of twenty-two with Radharani Devi who was eleven years old at that time. He had a small pharmaceutical business during his married life. 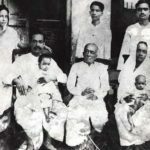 During his youth, he actively took part in India’s Struggle for Freedom by accompanying Mahatma Gandhi led Civil Disobedient Movement. 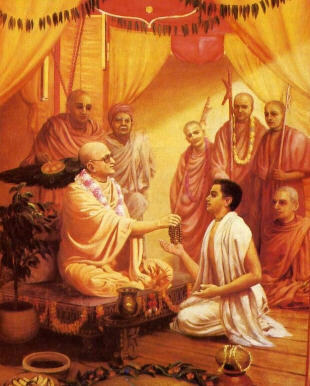 In 1922, he met Bhaktisiddhanta Sarasvati, a famous scholar, leader and founder of sixty-four Gaudiya Mathas (Vedic institutes), asked Abhay (Prabhupada) to spread the Vedic knowledge in English and carry the teachings of Lord Chaitanya to the Western Countries. 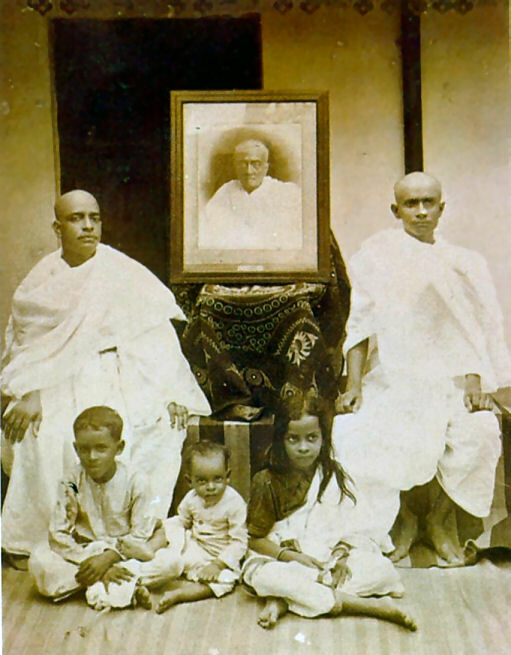 In 1933, he took initiation from Srila Bhaktisiddhanta and determined to fulfill his desire. 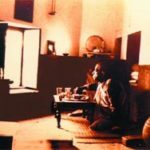 In 1944, he started English fortnightly magazine, ”Back to Godhead” that he himself edited and typed, then after checking the galley proofs, he alone distributed its individual copies (during the hot month of June) in the streets of Delhi, India. 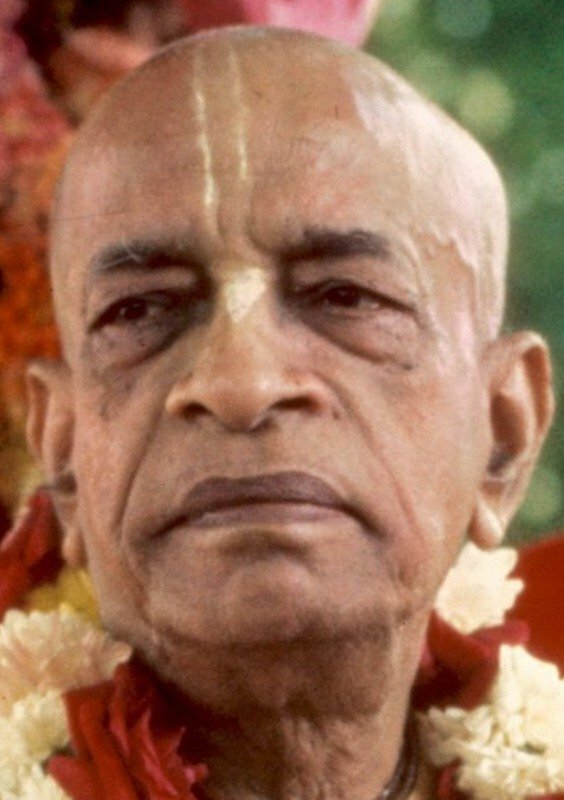 In 1947, the Gaudiya Vaishnava Society gave him the title ”Bhaktivedanta” means one who has realized that the devotion of Lord Krishna is above all types of knowledge. 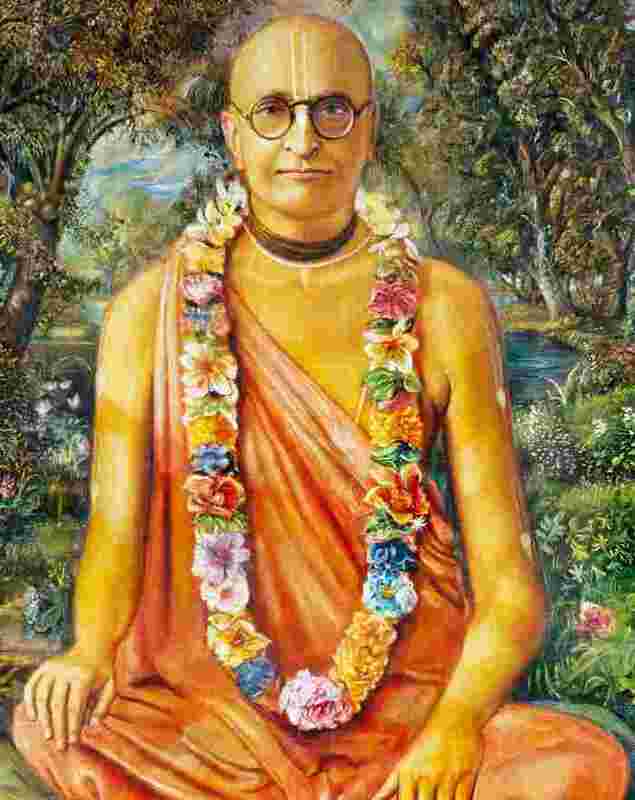 His Sanskrit title ”Prabhupāda” means one who takes shelter of Krishna’s lotus feet. 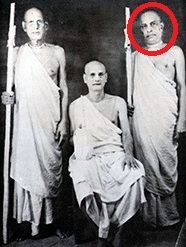 In 1953, during his preaching mission in India, he founded the League of Devotees in Jhansi. 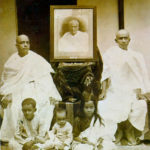 In 1954, he adopted the vanaprastha ashram (retired from family life). 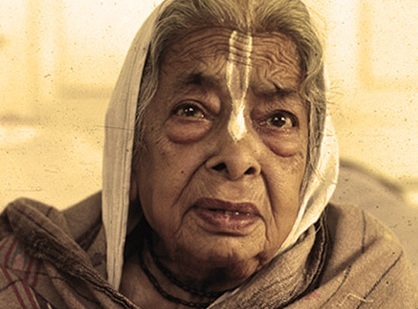 In 1956, he moved to the Vamsi Gopal temple, Vrindavan. 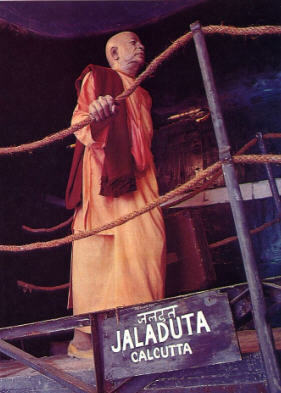 He donated the form of Chaitanya Mahaprabhu to the Gaudiya Matha at Allahabad and studied, wrote as well as edited the Gauḍīya Patrikā magazine there. 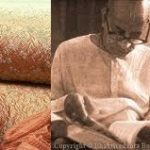 In 1959, living in the humble circumstances of Radha-Damodara temple, Vrindavan, he devoted his time to the study and writings of the ancient Vedic literature of India. 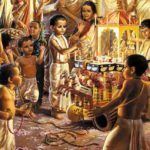 In this temple, he found three to four hundred years old collections of different copies and manuscripts (around two thousand) in the form of original writings of the Six Gosvamis and their followers. 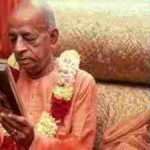 There, he started the translation with commentary of the eighteen-thousand-versed Srimad-Bhagavatam. 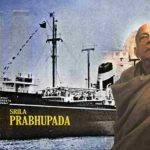 Taking the vision of his spiritual master and to fulfill his desire, he got the ticket for a journey to the New York City and boarded a cargo ship ”Jaladuta” in 1965. 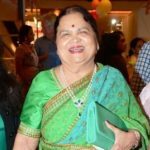 It was an arduous journey for him as he got sea sickness and suffered two heart attacks while traveling. 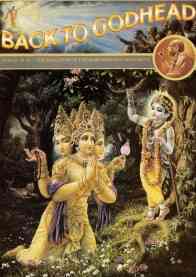 As a service to Lord Krishna, he wrote a beautiful poem in Lord’s glorification during this time. 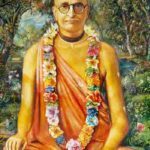 On 17 September 1965, he entered the port of New York City to introduce the ancient teachings of the Vedic literature of India into mainstream America. 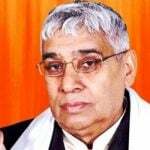 He had only eight dollars, the English translations of the sacred book of Bhagavata Purana and only some articles of personal use with him. 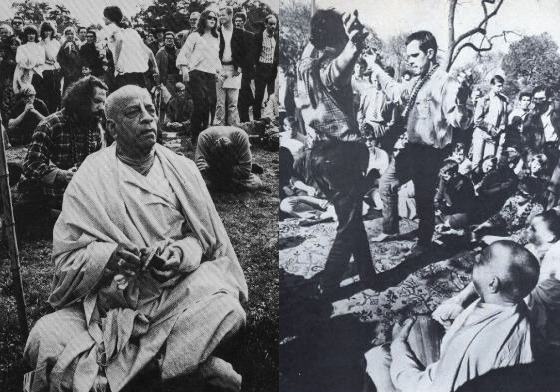 He alone started doing Kirtana with a Kartal (cymbals) at New York’s Tompkins Square Park. 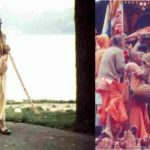 His pure message of Krishna’s devotion attracted a lot of people there and some of the youngsters decided to become his disciples. 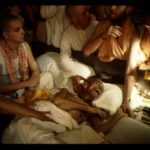 They helped him to get on rent a small storefront on New York’s Lower East Side, that he used to build Krishna’s temple later. 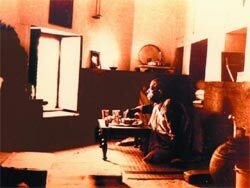 He was a brilliant cook and knew the art of cooking especially sweet dishes and food items of India. 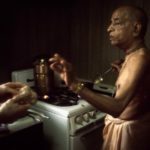 After taking Sanyasa, he used to cook the parshadam (foodstuffs) for Krishna himself. 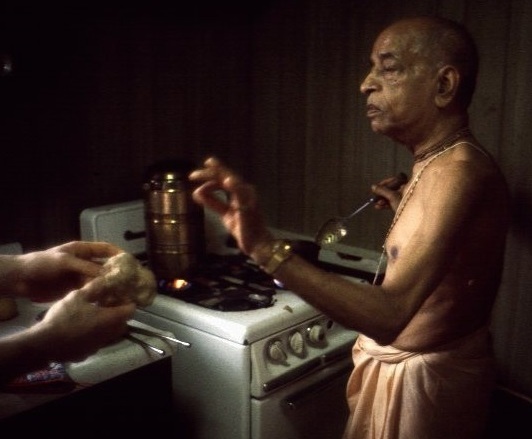 During his stay in the storefront of New York’s Lower East Side, he cooked for his new disciples, distributed the parshadam after Bhagawatam Katha and even washed their utensils after a meal. 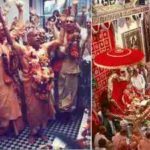 On July 11, 1966, he registered the storefront of New York City, officially as the ”International Society Of Krishna Consciousness”. 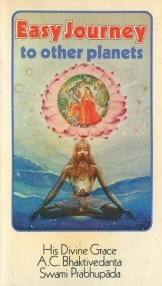 Another center was established in San Francisco in 1967. 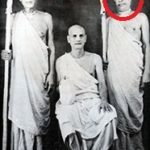 He traveled various places of America, popularizing the movement by sankirtana (street chanting), discourses of Bhagavata Purana, public speeches, and book distribution, etc. 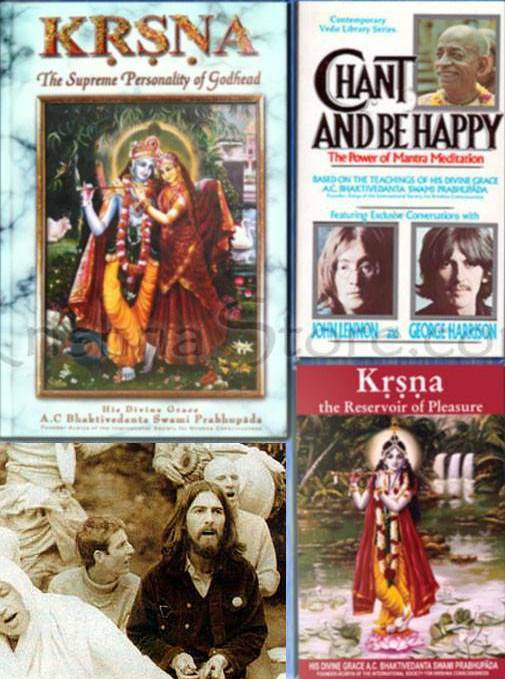 When some devotees went to London from San Francisco, they came into contact with a famous musical group the ”Beatles.” George Harrison one of the most popular stars of that time took great interest in the movement and after meeting Prabhupada, he decided to produce a musical album with the devotees of Radha Krsna Temple, London. 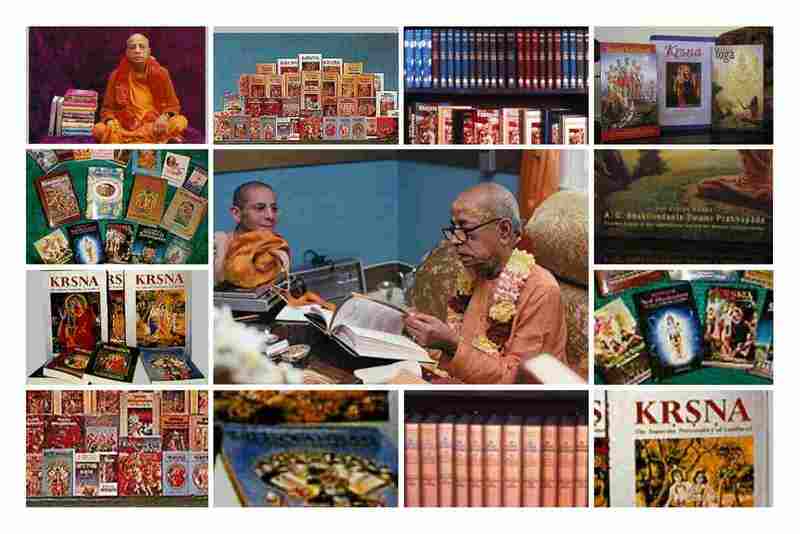 He also donated money to print Prabhupada’s English edition of ”Krishna” book. 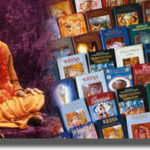 In order to spread the pure teachings of Lord Krishna, he traveled the whole world fourteen times. 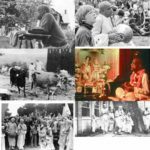 Many persons accepted his message, and with their help, he could establish 108 ISKCON centers and projects like educational institutes, rural communities, and vegetarian food relief program all over the world. 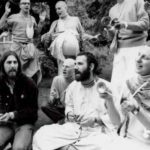 After 1971, the Hare Krishna movement became popular at maximum parts of the world. 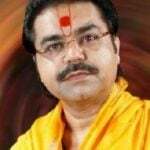 In 1972, he started the Vedic system of education by establishing the Gurukula (a school) in Dallas, Texas. After this, his disciples opened the same schools all over the world. 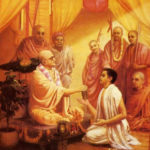 He not only awarded his disciples Sannyasa initiations but also founded the New Vrindavan in West Virginia and introduced to the world the Jagannatha processions (A chariot journey of Lord Vishnu with sister Subhadra and brother Balrama). 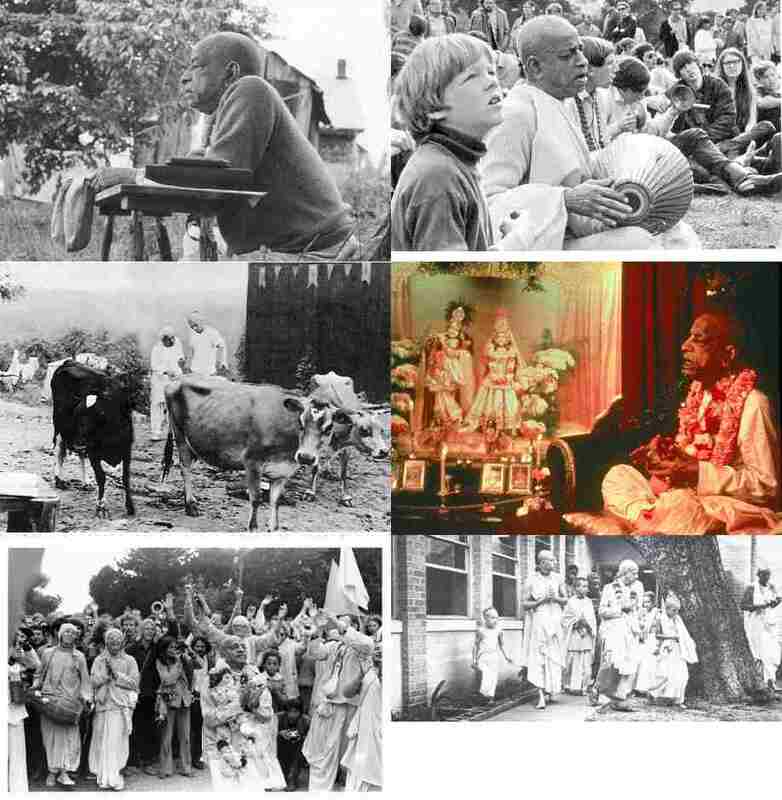 To strengthen the root of Krishna consciousness in his own country, he returned India several times and established many temples there. 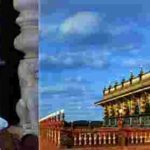 The most famous among them are the Vrindavan and Mayapur temples. 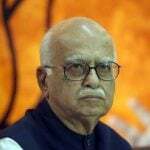 He wanted to establish international cultural centers also. 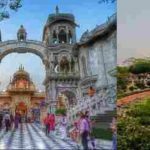 The planned spiritual city in Sridhama Mayapur in West Bengal, International Guesthouse, Srila Prabhupada Memorial & Museum in Vrindavan, cultural and educational centre in Mumbai are very good examples of this. 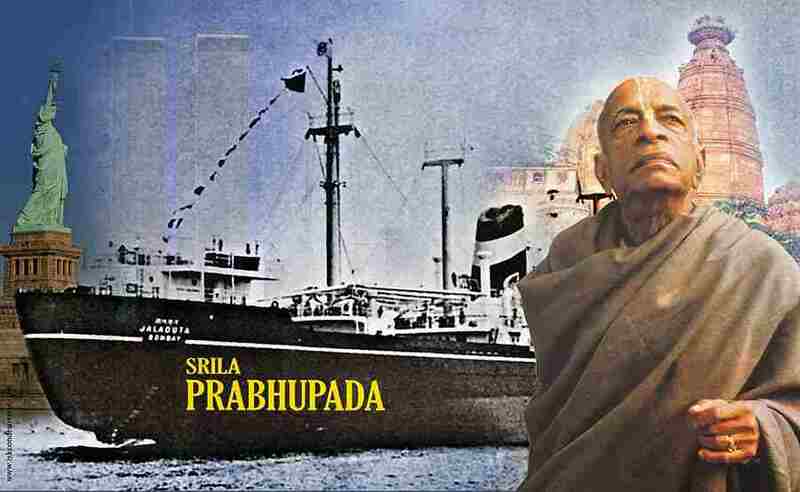 According to Srila Prabhupada, his most significant contribution to the society is his books that have gained lots of popularity due to their clarity, depth, authority, fidelity to the Guru Parampara and truthness to the ancient Vedic scriptures of India. 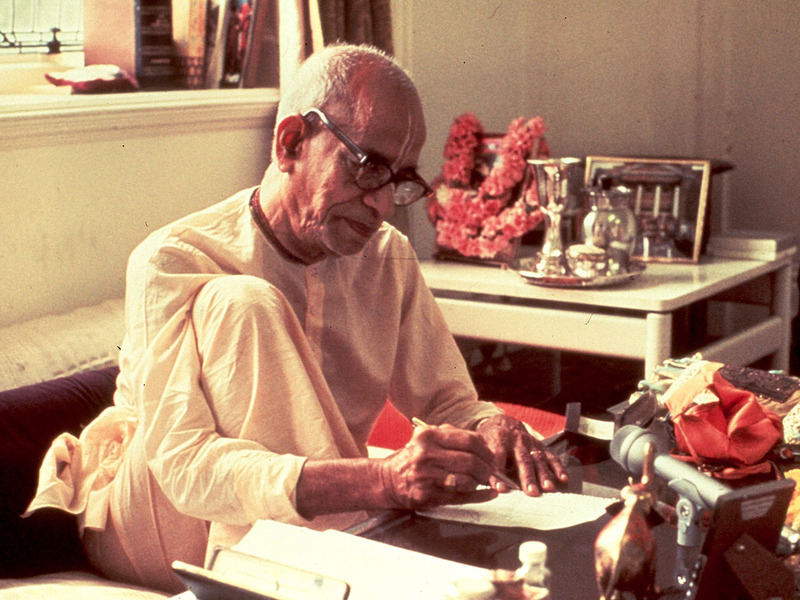 Many of his writings are included in the courses of college studies in different parts of the world. 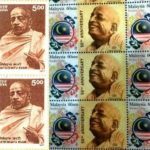 He authored over eighty books that have been translated into more than 80 languages. 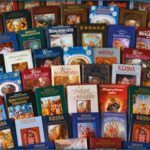 The most significant creations are the Bhagavad-Gita As It Is (1968), Śrī Īśopanishad (1969), Srimad-Bhagavatam (30-volume, 1972–77 ), Sri Caitanya-Caritamrita (17-volume, 1974), and The Nectar of Instruction (1975). 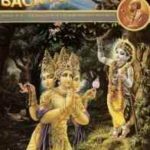 In 1972, The Bhaktivedanta Book Trust (BBT) the publishing house of ISKCON, was established, which is now the world’s largest publisher and distributor of books on ancient Indian Vedic scriptures and religion. 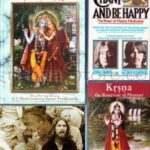 His books have also been praised by the professors of famous colleges and the universities like Columbia, Oberlin, Harvard, Edinburgh, Oxford, Syracuse, Cornell, and many others. 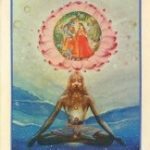 During his discussion with a historian Arnold J Toynbee in London, he said that the International Movement of Krishan Consciousness that he started among Americans and Indians, would increase in next ten thousand years. 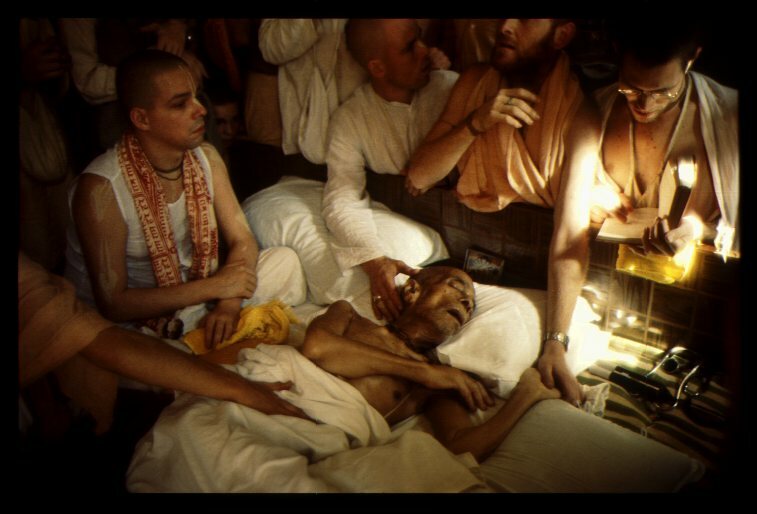 Before leaving his body, Swami Prabhupada made some arrangments for the progress of his movement. 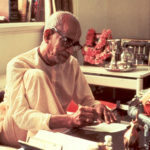 He wrote his will, established the initiation system, created temple property trusts, and gave some guidelines to the Bhaktivedanta Book Trust as well as to the GBC (Governing Body Commission). 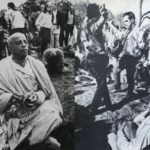 Bhaktivedanta Swami left his body on 14 November 1977 in Vrindavan, India. 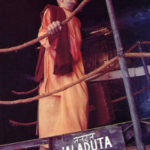 His samadhi (memorial with burial) has been built at Krishna Balaram Mandir in Vrindavan, India. 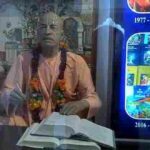 In his remembrance, many shrines of Bhaktivedanta Swami have been established by the present members of the ISKCON centers in different parts of the world. 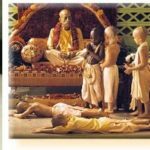 Greatest among them are in Mayapur, Vrindavan, and America (Prabhupada’s Palace of Gold). 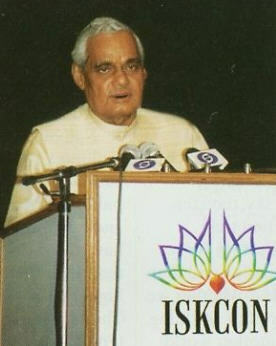 After recognizing his great work; the Government of India issued a commemorative stamp in his honor in 1996. 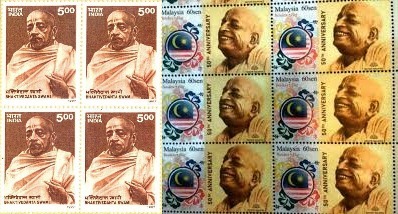 Malaysia also released a stamp in his honor on the occasion of 50th anniversary of his visit to the USA. 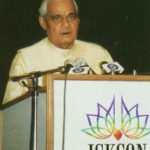 In 1998, at the occasion of inauguration function of ISKCON’s cultural centre in New Delhi, Atal Bihari Vajpayee the former prime minister of India, expressed his gratitude to the ISKCON and the spiritual army of Swami Prabhupada for printing and distributing the millions of copies of Bhagavad Gita all over the world, in different languages. 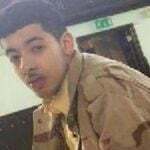 He also appreciated the increasing popularity of the movement in a short period of time. 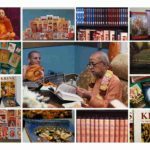 In February 2014, ISKCON’s news agency reported that about half a billion books of ISKCON have been distributed since 1965.